Eric Wong is a native New Yorker born and raised in Queens. During his attendance at Baruch College, Eric started a successful event planning company in Manhattan. After graduation, he had an opportunity to be an equities trader at a few trading firms in Midtown. After working for a few years, Eric decided to pursue his passion in real estate and is now a licensed real estate agent at Real NY. 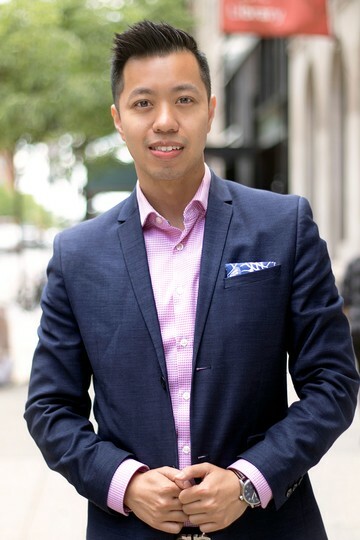 His entrepreneurial spirit, work ethic, and ability to connect with people ranging from college students to C-level executives makes him a top choice for renters and buyers in Manhattan. Feel free to reach out. Conversations never hurt and Eric is always open to meeting new people! Studio at 321 EAST 45TH STREET, #4H. 321 EAST 45TH STREET, #4H. 1 BR at 205 ALLEN ST., #18. 4 BR at 212 EAST 14TH STREET, #1RA8. 212 EAST 14TH STREET, #1RA8. 2 BR at 113 EAST 12TH STREET, #4R. 113 EAST 12TH STREET, #4R. 2 BR at 81 ORCHARD STREET, #26..